The Legacy Advisory Board (formerly Pioneer Manor Advisory Board) provides services, materials and equipment to enhance the lives of residents of The Legacy Living and Rehabilitation Center through donations, memorials and fundraising. our new project- Time Capsule. The Legacy Advisory Board, (formerly Pioneer Manor Advisory Board), provides services, materials and equipment to enhance the lives of residents of The Legacy Living and Rehabilitation Center (Legacywyo.org) through donations, memorials and fundraising. The Legacy is designed to create a sense of community for those who live there. 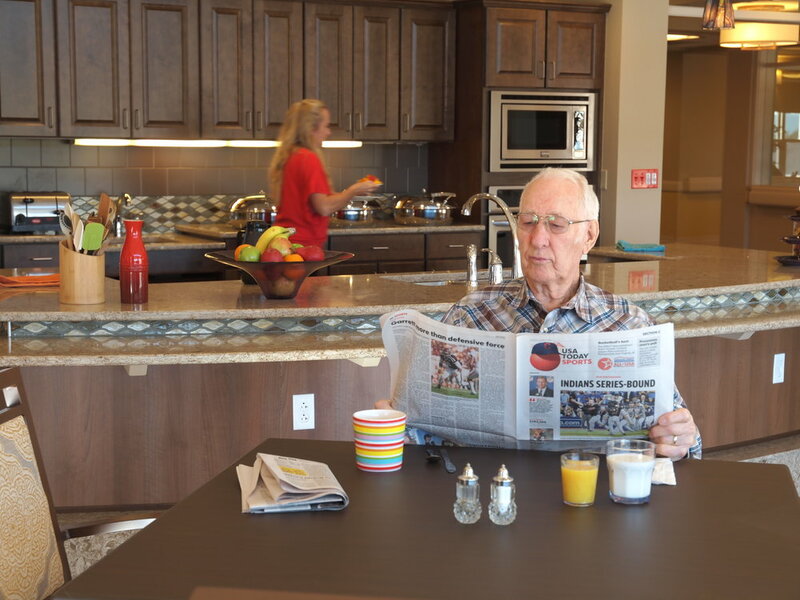 Residents live in self-contained wings, or neighborhoods, with their own living, dining, outdoor areas and activity spaces for socializing throughout the facility. The Legacy emphasizes the importance we all place on having fun, socializing, learning and expressing creativity at all stages of life. The Advisory Board, through donations in honor and memory of residents, follows its’ mission statement: “To enhance the quality of life for all at The Legacy through volunteerism and the judicious use of donated funds”. The Advisory Board works in conjunction with the Campbell County Healthcare Foundation, Pioneer Manor Foundation, Caregiver Support Group and The Legacy staff to support their mission and our greater community. Donations may be sent to The Legacy Advisory Board, c/o The Legacy, 1000 S. Douglas Hwy., Gillette, WY 82716. The Legacy’s telephone number is 307-688-7000. Please include your mailing address as you will be sent a tax receipt. For more information on how you can help support the Legacy Advisory Board, click here.